Nestled in the sheltered waters of Henslung Cove. The docks and boats are just steps from the lodge. Spacious lounges offer plenty of room to relax after a day on the water. Our history is hanging on the lodge walls. Some of our best fishing is within sight of the lodge docks. 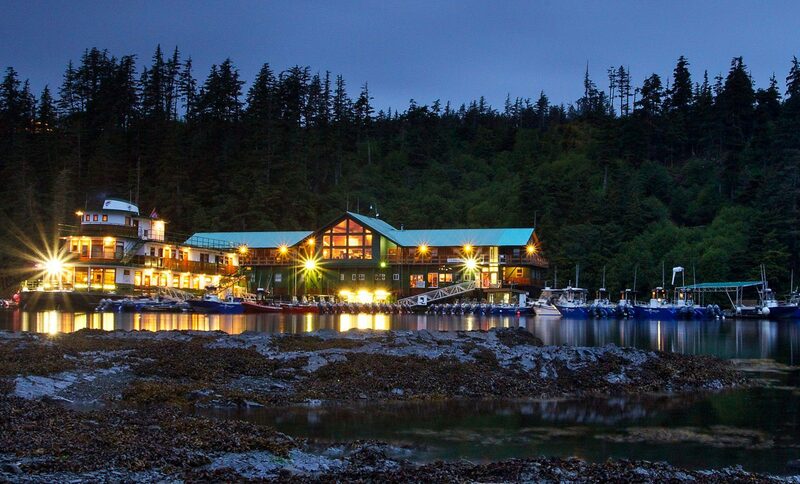 Langara Fishing Lodge is located in a scenic and well-protected cove along the southern shoreline of Langara Island. 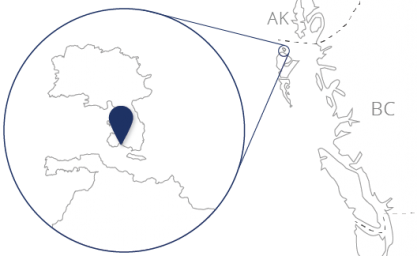 Our island lies almost 900 km (550 miles) north of Vancouver, and just 30 nautical miles south of Alaska — on a clear day you can see the southern islands of the panhandle. Guests arrive here via a charter 737 flight from Vancouver to Haida Gwaii, followed by a scenic helicopter ride to the lodge — total flight time for both legs of the journey is under 2.5 hours. 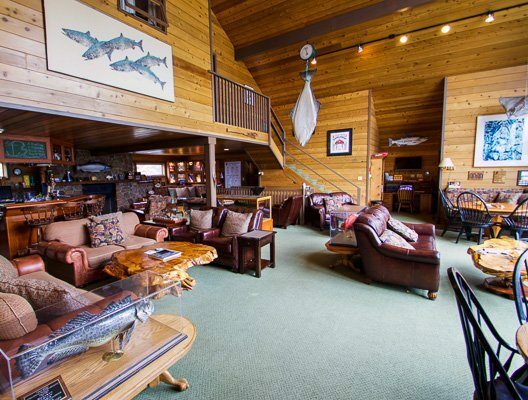 Oceanfront property, overlooking the world's best salmon waters. 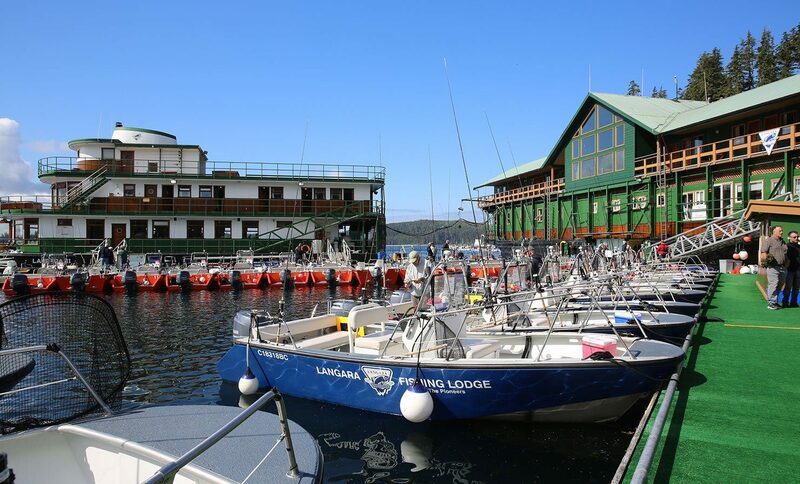 Langara Fishing Lodge is the perfect venue for anglers who want to make the most of their fishing vacation. 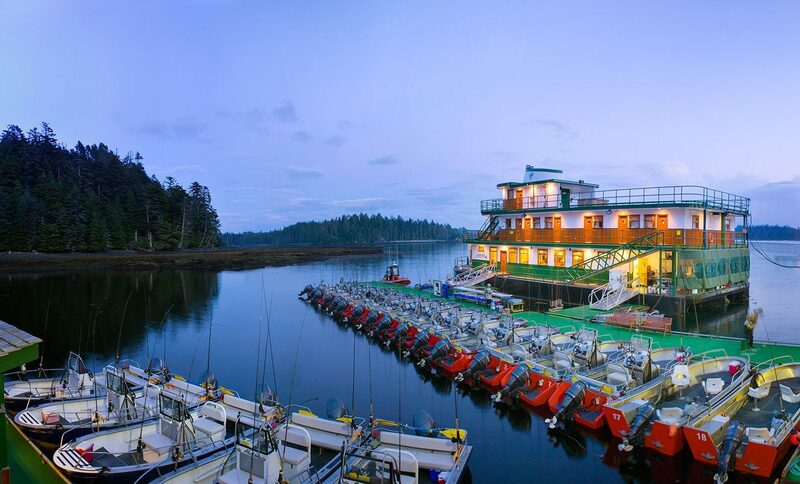 With the docks and boats just a few steps from your room, and the fishing grounds just a few minutes from the docks, you can go from bed to boat to battling salmon in no time. 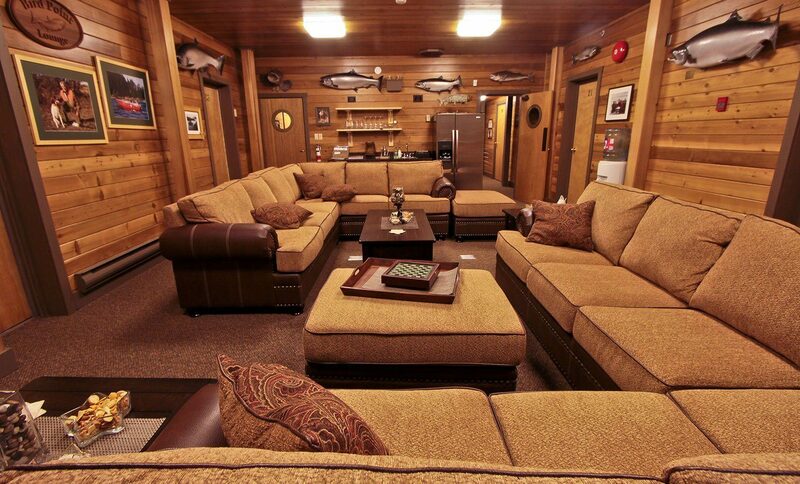 And with our extended hours for fishing, Langara Fishing Lodge guests are always first on and last off the water. 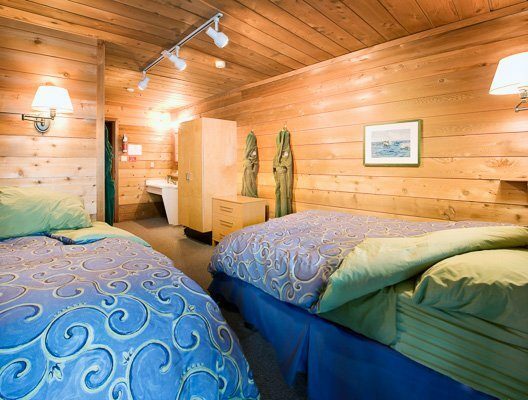 Langara Fishing Lodge accommodates up to 65 guests in very comfortable double-occupancy rooms, all with ensuite bathrooms. Depending on availability, we can provide limited single-occupancy rooms, with a shared bathroom. 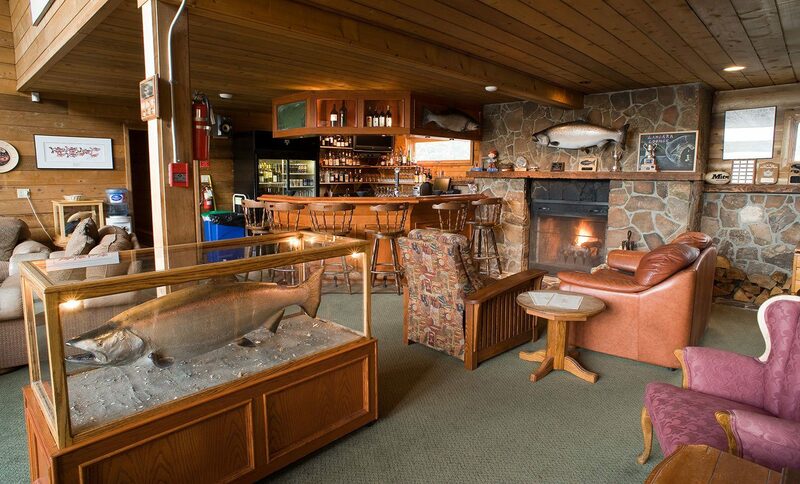 Guests can relax or swap fish tales in several spacious lounges, including a main lounge with full bar service. Sooth tired muscles in one of our hot-tubs or steam room. And if you just want to stretch your legs, Henslung Cove’s scenic shoreline is accessible from our docks. A taste of what you'll be tasting. For over 30 years we’ve set the standard for remote lodge dining, with catering that caters to serious anglers in a fine-restaurant setting. Learn more about our dining experience, and peruse a few sample menus.